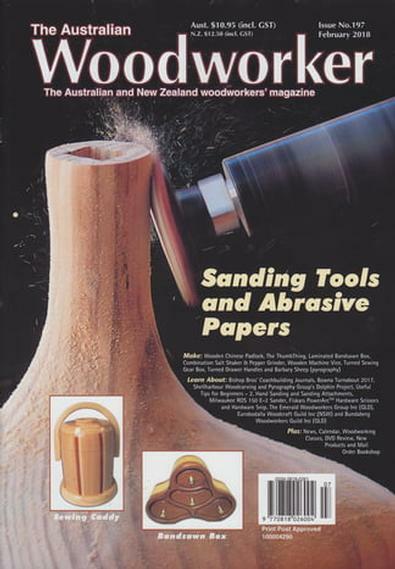 Established in 1985, The Australian Woodworker is Australia's most popular woodworking magazine. Every issue provides you with projects, technical tips, information on new products, shows and exhibitions, book reviews, profiles of woodworkers, an events calendar, as well as local and International news. highly recommended for any hands-on guy!